The upcoming Lenovo Z5 honestly looks like it gained inspiration from the Vivo APEX and the iPhone X. The phone had a beautiful edge-to-edge display with really thin bezels but left out the notch which many Android manufacturers were quick to copy Apple. Things have taken a different turn and the Chinese company’s VP Chang Cheng reveals that it took a total of 18 patented technologies to achieve this design. Lenovo’s Z5 is missing the most important element of the phone these days; the notch. It’s first ‘all-screen’ will debut soon and thanks to discarding the notch and making bezels thinner, Lenovo has managed to achieve an unprecedented screen-to-body ratio of 95 percent. Lenovo’s Vice President according to Twitter leakster Benjamin Geskin Chang Cheng says that it took four groundbreaking technologies and 18 patented technologies to achieve the design of Z5. It remains to be seen how exactly the company achieved this and we will be taking a closer look at the compromises that have been accompanied by bringing the bezels down to such a level. 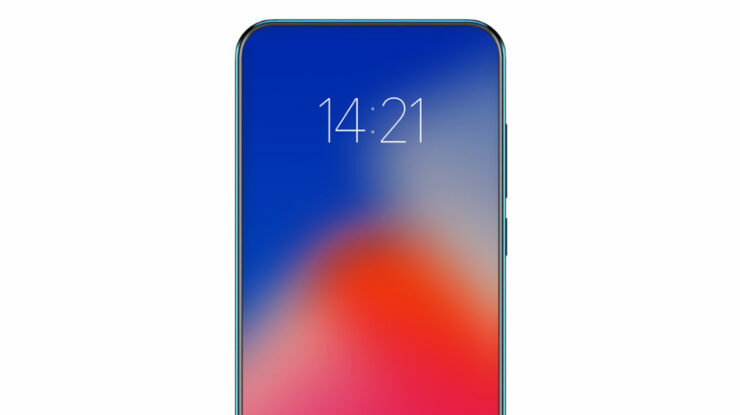 Lenovo Z5 – no notch, no chin. 95% screen-to-body ratio. Coming this June. A front panel, which is 95 percent screen gives rise to two questions; will the phone have a selfie camera and where will the microphone be? A speaker cannot be spotted in the teaser images so it is likely that Lenovo has used a piezoelectric speaker behind the display, which is similar to the Xiaomi’s Mi MIX, the first smartphone to adopt such a cheaper. The Lenovo Z5 will arrive sometime in June and since it does not appear to have a facial recognition sensor other than the one that will be incorporated via software, it will probably have a fingerprint scanner for user authentication. However, it is not known yet if it will be a conventional scanner or an in-display one. If this happens to be true, then it will be the first handset of 2018 to feature such a design. The Vivo APEX might have been announced but it is nowhere close to getting released.